So… my kids see me knitting and crocheting on a semi regular basis and are soooo keen to learn. Red Ted is 6yrs old and Pip Squeak is 4yrs old. 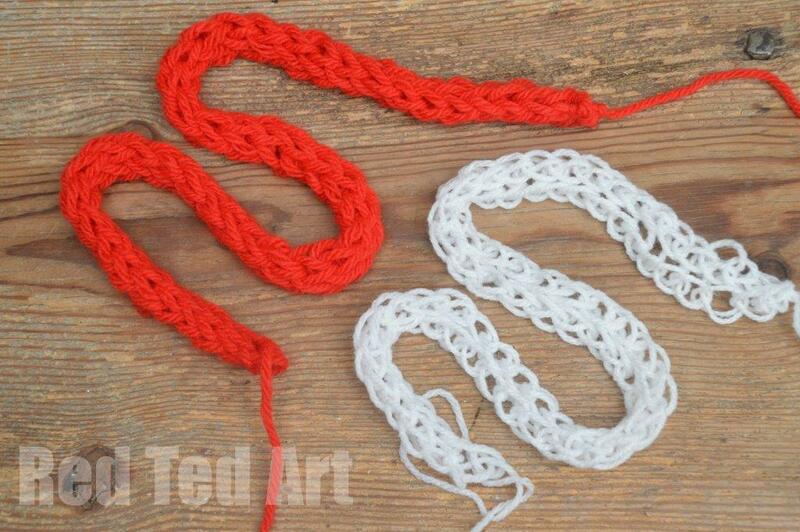 I think Red Ted is JUST old enough to learn how to knit, but Pip Squeak is still a little young. 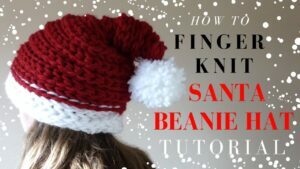 So I thought we should start with how to finger knit first. 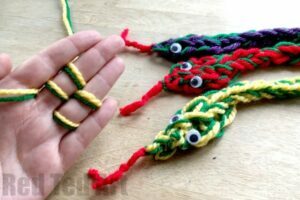 Finger knitting is a great activity, as you can do it anywhere and any time. Take it with you on a long car journey or sit on the sofa on a lazy afternoon. Make LONG things, or short things. 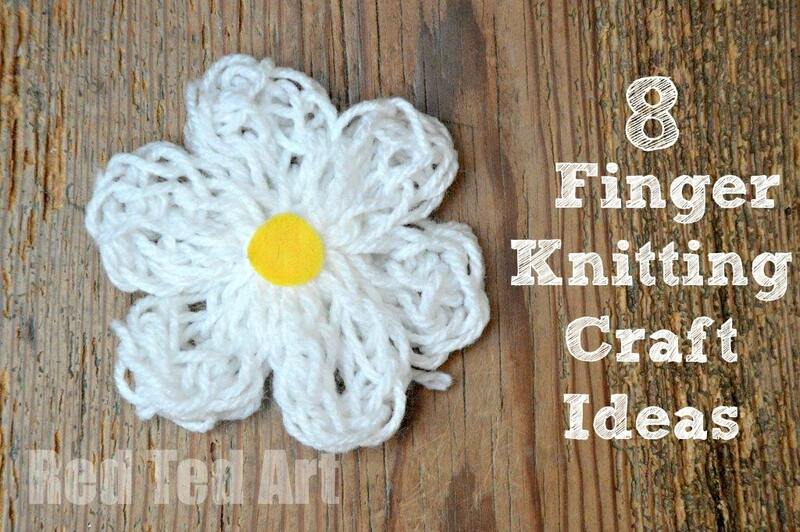 Use up odds and ends of wool or make something brand new. 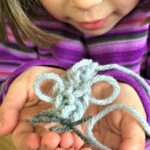 What I also love about Finger Knitting for kids, is that it teaches them discipline, pattern recognition and following instructions. It can only being great things for their right/ left brain development. So I was keen keen keen to get them going. 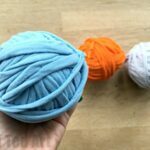 Did you know that T-shirt yarn is a great finger knitting yarn too? 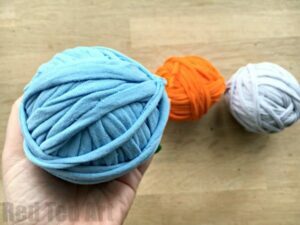 Learn how to make T-shirt yarn in a continuous strand here. 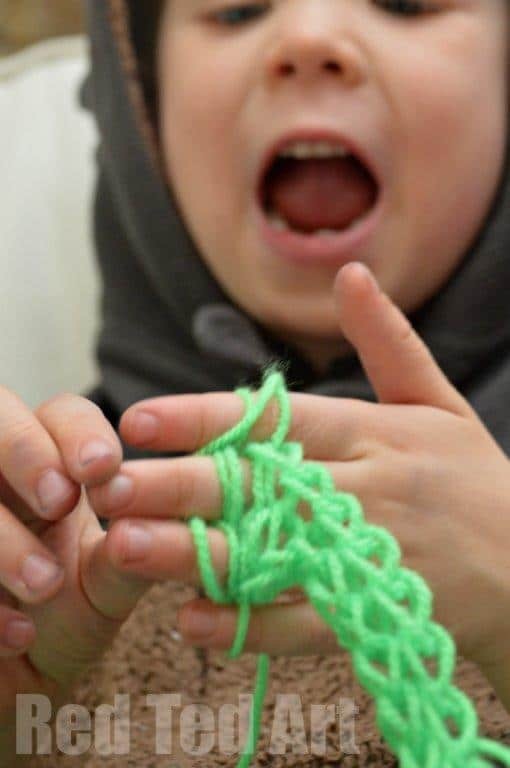 We first had a go at Finger Knitting last Summer (6 months or so ago) and they both did quite well, but of course needed supervision with every step. Then a couple of weeks ago, Red Ted wanted another go. And with in minutes he got the hang of how to finger knit. 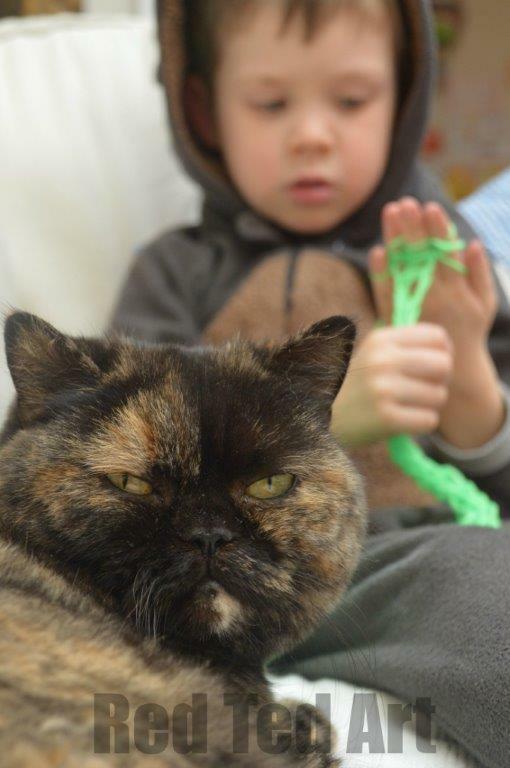 His little sister sat by patiently watching her big brother master finger knitting. Then a week later, SHE wanted another go. And you know what.. aged 4, she totally impresssed, as she suddenly got the hang of it. 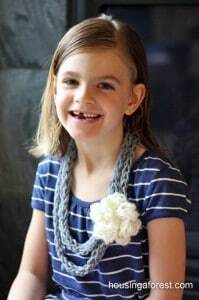 Yes, I still help her “cast on” her finger knitting and “cast off” her finger knitting.. but we have the crux of it. Fabulous. 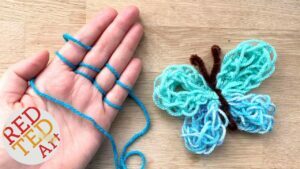 Now you have mastered Finger Knitting, what do you actually do with it?! 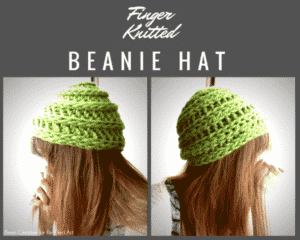 When you Finger knit, you produce a “sausage” of knitted wool, that looks a bit like the out put of a Knitting Nancy or French Knitting Doll – except it tends to be bigger and looser. 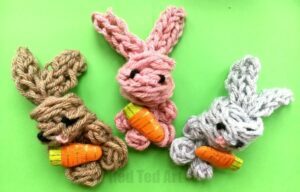 The kids mainly make “scarves” and what they call “socks” for their toy animals. 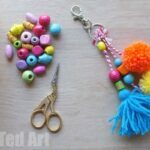 Pip Squeak even made a scarf (one long sausage) for herself and added pompoms to the ends. 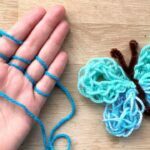 Make a Flower (great as a brooch or hair piece) – we folded it up into petal shapes and KNOTTED them in place with the left over pieces of wool. No sewing needed! Then glued on a little yellow centre! 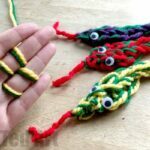 Learn to “increase” and “decrease” a stitch to make these fabulous Finger Knitting Snakes! Similarly, if you would like to work with wool or yarn, you can have a go at these darling little finger knitted owls. Just too cute. 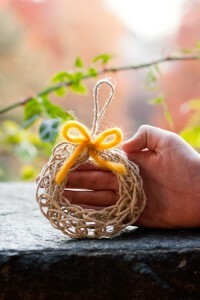 Great little DIY ornaments or prefect as Keychains too! 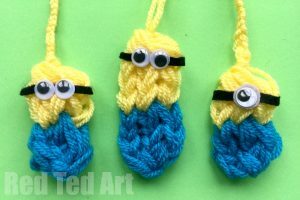 We also had fun making some Finger Knitted Minions. So cool! Zing Zing Tree did some Yarn Bombing with it! 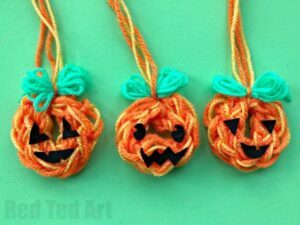 Cute How to Finger Knit a Pumpkin! 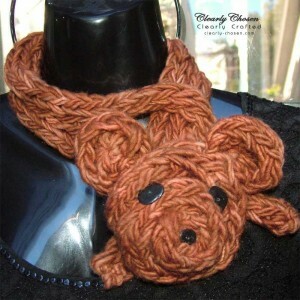 Love these Animal Scarves using Finger Knitting! There are not “detailed” instructions, but check them out anyway, I reckon we can figure it out, right?! 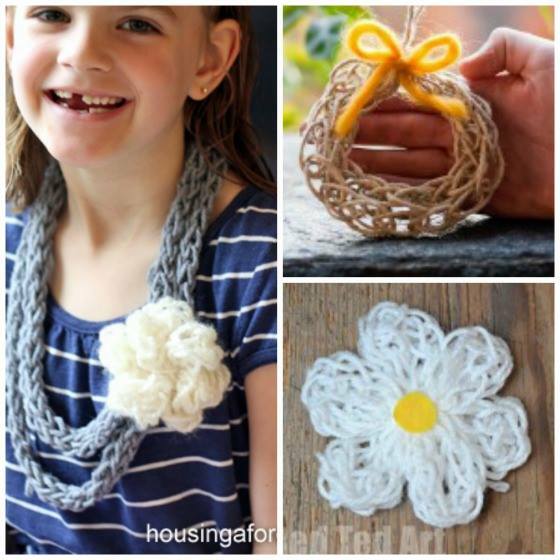 Adorable scarf and accessories idea! 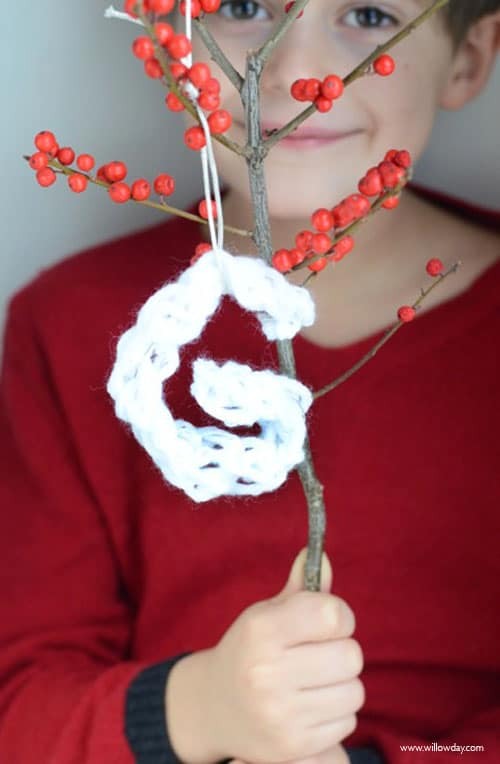 Ornament Idea – this is a great way of using other materials for your knitting projects. Over to you! 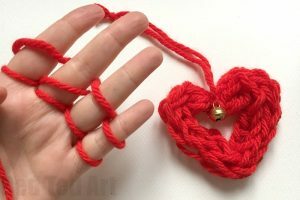 Time you learn How to Finger Knit!!!! 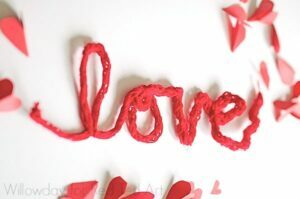 Also don’t forget to have a go at making your own t-shirt yarn! 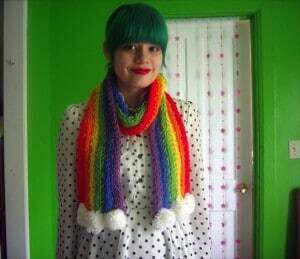 Thanks for sharing, the link for the teddy bear scarf goes to the rainbow website. can you re-post the teddy bear site? Oops so sorry! Off to fix it now! I like your site! 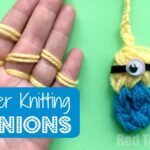 Your finger knitting page had a lot more ideas to play with than most articles on finger knitting. The flowers and Christmas ornament were especially cute! I originally clicked to see your doll house idea, which is lovely. But I wish you had put some drawings of the shapes to use, possibly a simple, general “template”. The written instructions were good, but some people like me need to be “shown” rather than “told”. I’m impressed though. I will come back to this site soon. Thank you! Informative collection. Waiting for summer to try out with my daughter. 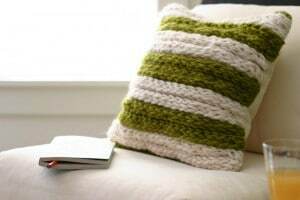 could you please share how to make the pillow? 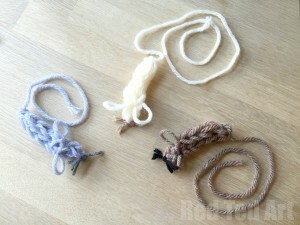 I haven’t done finger knitting in a long time, so once i remember, this would a great go to activity. Hello, there is a link to the blog that made the pillow! 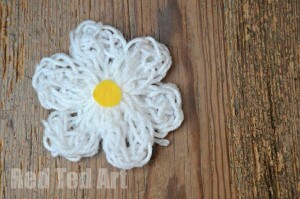 Yes, a grown-up’s hand will make a looser knit than a child’s hand. What do you do to save your place when you need to set it aside for a while? We pop it on a pencil! 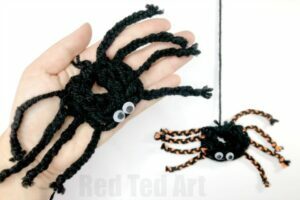 We plan to make these during read aloud times this coming school year! Thanks for the nice video!